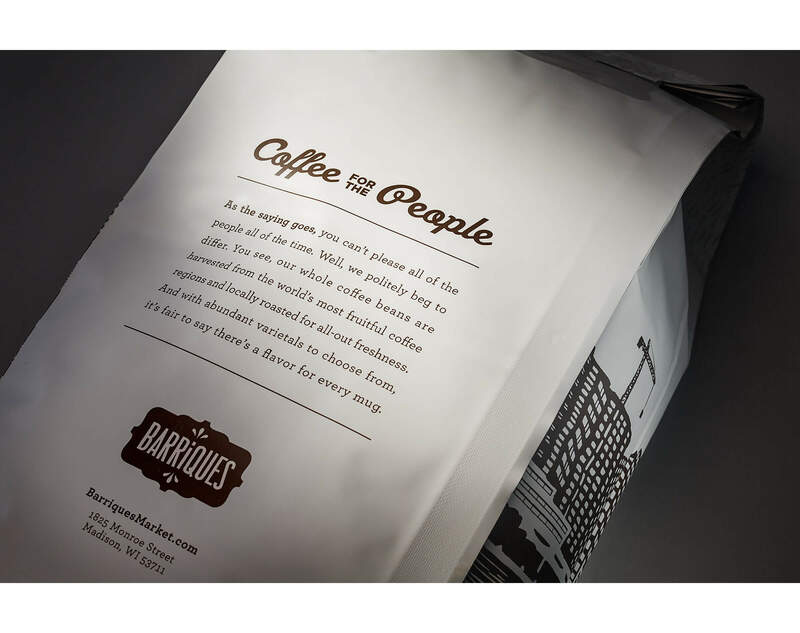 Barriques is a charming café with eight locations throughout the Madison, Wisconsin area serving up wine, craft beer, spirits, coffee, chocolate and catering. It's the type of place where you could spend three minutes grabbing a coffee, or spend three hours reading a book and enjoying the atmosphere.  Barriques partnered with Shine United to create new packaging for their coffee lineup. 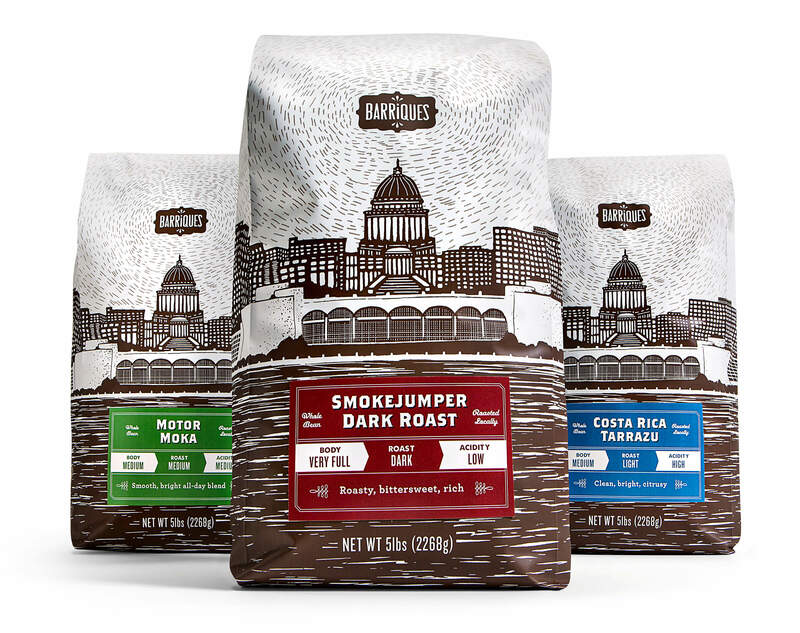 The new designs feature hand-drawn illustrations of the iconic view of downtown Madison. 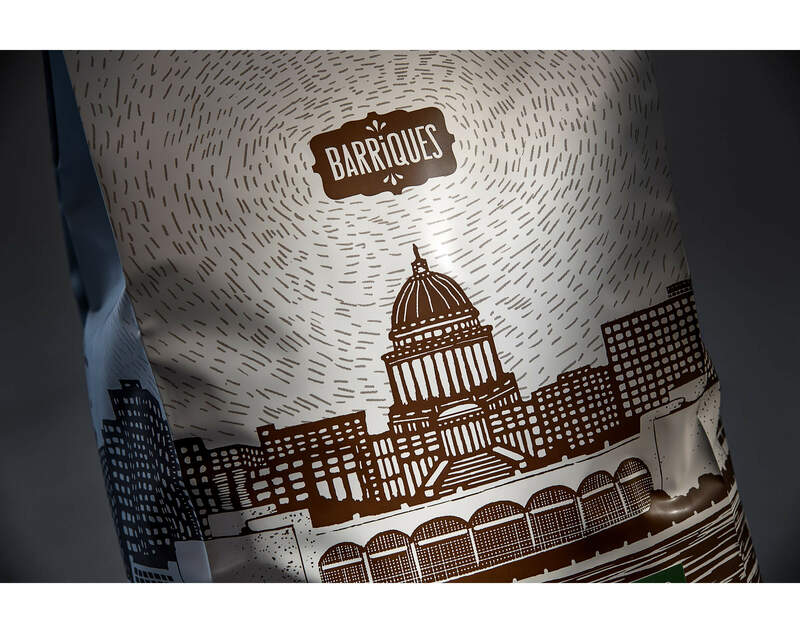 The new coffee packaging is now used in all Barriques locations and also made its way into the 2017 Graphis Design annual with a silver award and a feature in Lürzer's Archive's 200 Best Packaging Design worldwide annual.